In the latest incidence of people hugely overreacting to things, a woman called the police because someone else’s dog ‘aggressively humped’ her own dog. Much like her fellow reactionary citizens such as BBQ Becky, Permit Patty and Cornerstore Caroline, the woman has also been given an alliterative nickname – Dog Park Diane. 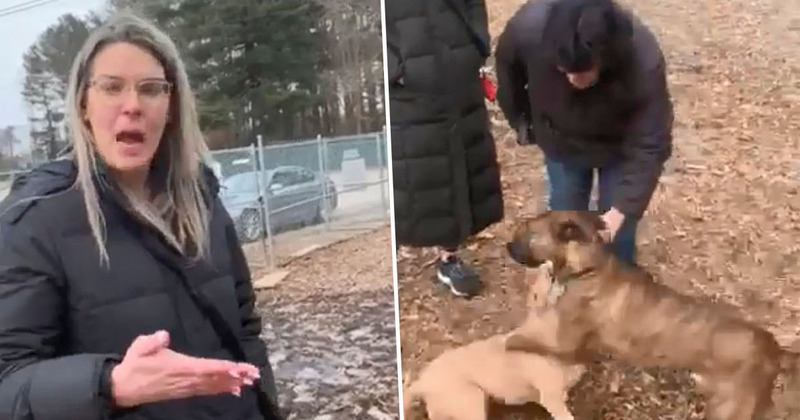 Dog Park Diane (DPD), whose real name is unknown, was filmed phoning the police during the altercation in an Attleboro park, Massachusetts, attempting to report it as a crime. 42-year-old Franklin Baxley was the man behind the camera, and the man whose dog was apparently committing the canine crime. DPD was so incensed by the incident she reportedly demanded he pull his dog off and leave the park immediately. To be fair, that probably would’ve calmed the dog down, though you’d then run the risk of adding gross indecency to the charge, and no one wants that. To jog your memory – BBQ Becky came to notoriety last year when she phoned the police on two black men having a barbecue in a park in Oakland. Baxley believes the woman in the dog park also had racial motivations for calling the police, suggesting the argument wouldn’t have escalated so quickly if he was white. If I were not black, she would not have felt threatened by me talking to her and defying her orders for me to leave the park. It was about race if you ask me, but I wouldn’t be surprised if this woman does this to just about anyone as she seems a little off. I am a responsible dog owner, and my dog is super friendly. Anyone who goes to that park regularly knows me and will attest to that fact. The dogs were living their best lives the whole time. Eventually the police arrived on the scene, and said both Franklin and Dog Park Diane were reasonable and understanding. ‘Peace was restored and no charges were filed’, said an Attleboro Police Sergeant.